Hey - I know her! And I want to smile like that at MDI too. Yay!!! 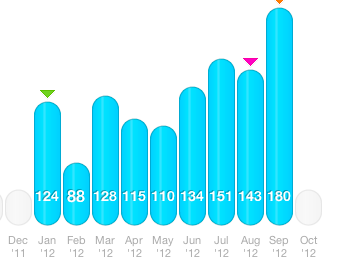 Congrats on your highest mileage month :) you will love love love mdi I promise!! Wowser on the high mileage for the month and year! You are going to OWN the MDI!! 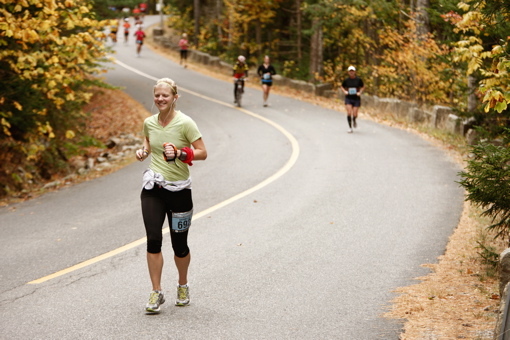 And the fall color will be so beautiful that the miles will just FLY by! Congrats on a record month!! Those are always exciting!! Good luck at MDI! You will do great!! 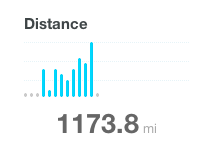 holy crap that's a lot of miles in one month! somehow, I can't even get to 50. great work! WOW! Jen, you continue to be an inspiration to me (and obviously, many others! ).....your mileage is RIDONKULOUS! You're going to rock MDI!!! Great job with youur numbers, and so glad you are liking your new job!! Wow, what a great September!! It is so close to your race, I am so excited for you! Congratulations on your highest mileage month so far! You are amazing.. and yes I say that on almost every one of your posts!! !